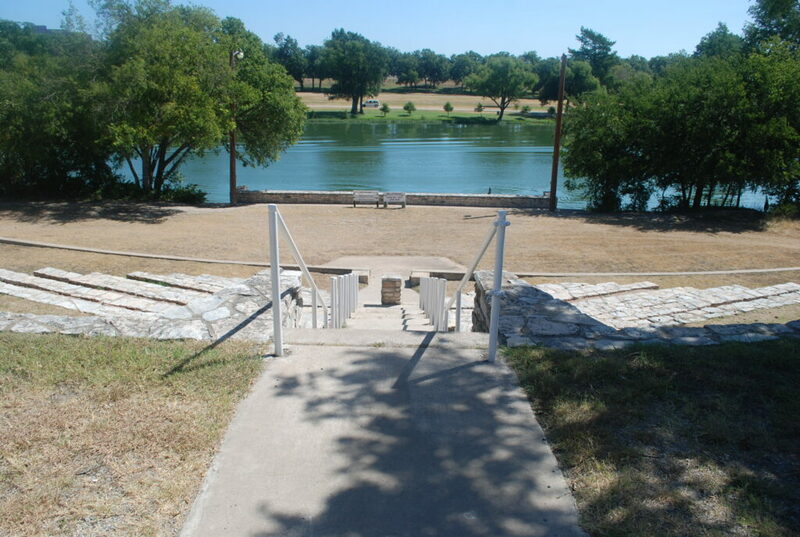 Start your trip at Kerrville-Schreiner Park a few miles south of downtown Kerrville. 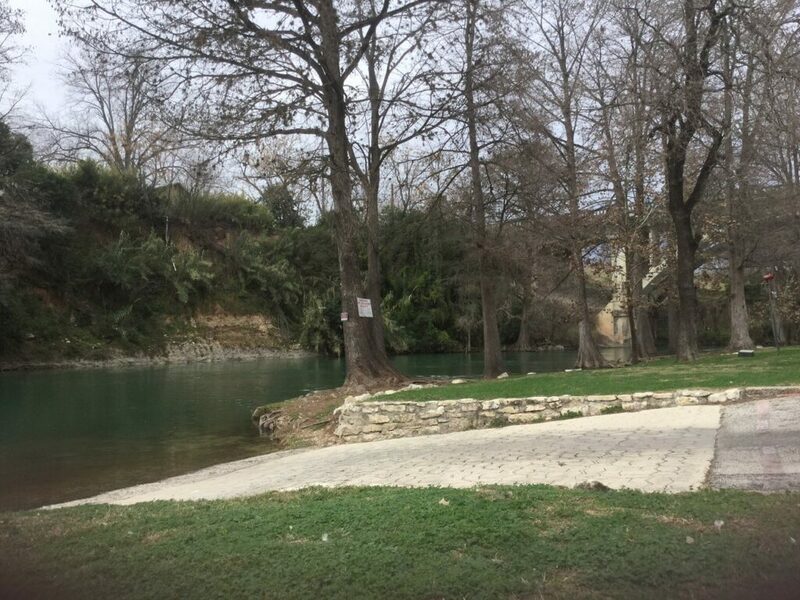 This huge park is divided into two parts, with one side on the Guadalupe River and the other along the south “hill” side of Bandera Highway. The river side has RV sites with full hookups while the hill side campsites have 30-amp power and water only. Cabins, tent sites, and a furnished ranch house are also available for guests. About seven and a half miles of hiking and biking trails run throughout the park. There is also a butterfly garden, picnic areas with grills, and canoe and kayak rentals in addition to the river access. Continue eastbound on Interstate 10 for less than an hour and you’ll reach Cave Without A Name in Boerne. 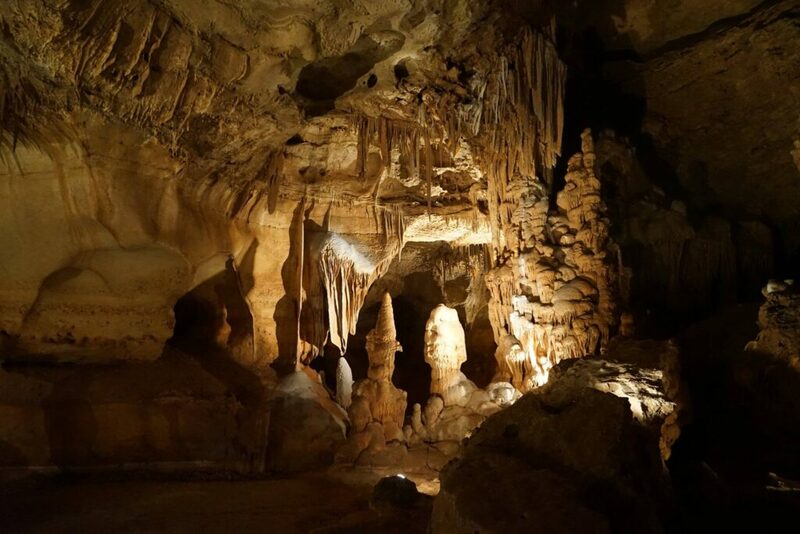 This natural limestone cave is the 7th longest cavern in all of Texas and one of four stops on the Texas Cave Trail. Take a walk around their six underground rooms to see the stalactites, stalagmites, rimstone dams, and draperies. 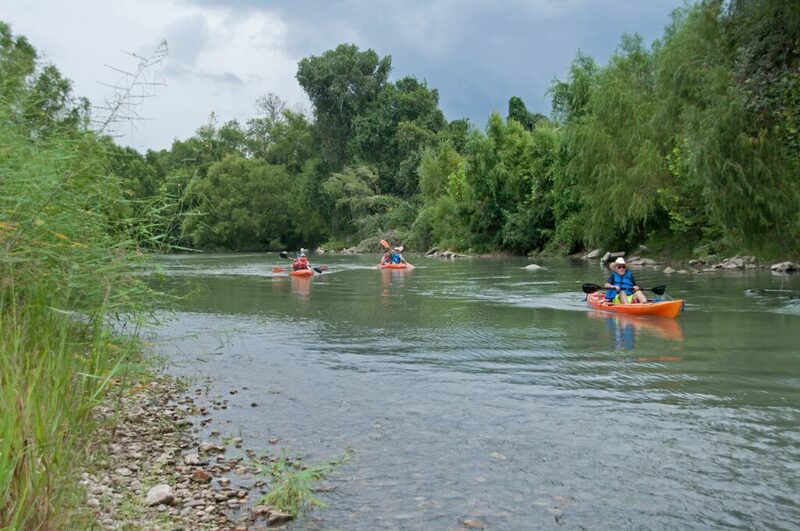 The tour comes to an end at an underground stretch of the Guadalupe River. In addition to cave tours, their large property has over a mile of hiking trails, picnic tables, gem panning, a family fun scavenger hunt, and campsites for visitors. The RV sites are $25 a night with electric hookups and nonpotable water. Some of the sites are pull-throughs and can accommodate larger RVs. 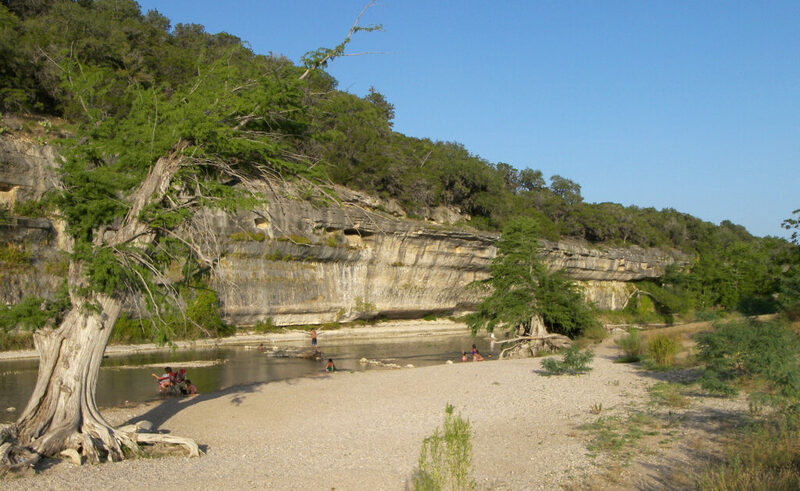 About 20 miles east of Boerne, Guadalupe River State Park is a popular spot for tubing, fishing, kayaking, and canoeing. The park also has over 13 miles of hiking and biking trails including some paths for horseback riders. There are three camping areas in the park, one of which (Cedar Sage) is currently closed for construction. The Turkey Sink area has 48 electric/water-only sites with nearby restrooms and showers. Primitive campers can also pitch a tent in their Wagon Ford walk-in tent area. 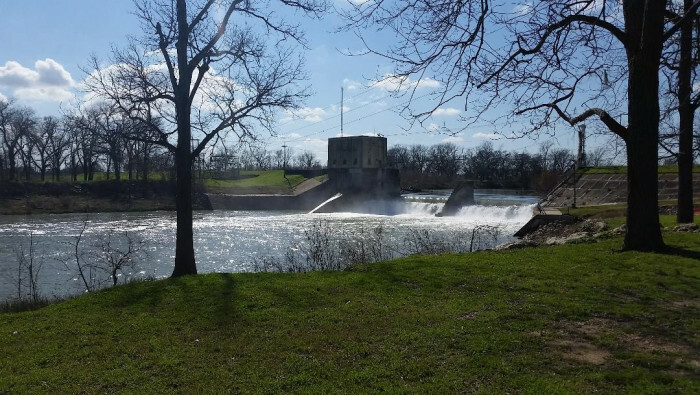 Several dams are located along the course of the Guadalupe River, most notably the Canyon Dam which forms Canyon Lake. 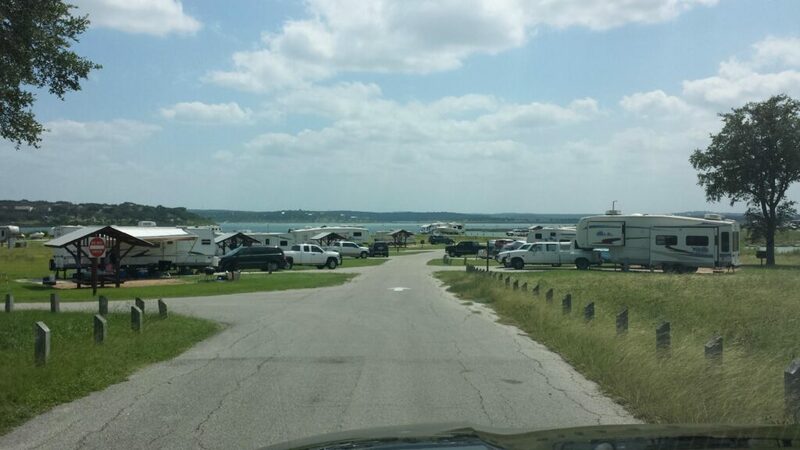 As you continue following the river’s path you’ll reach Canyon Lake where there are many campgrounds and RV resorts by the shore. Potters Creek Park is open year-round on the northern shore of the lake with a beach, two boat ramps, a fishing pier, and a campground. The RV sites are spacious and equipped with water and electric hookups. The upper sites are located in the woods, while sites closer to the lake are completely open with no shade. The Guadalupe River flows south through the city of New Braunfels, where it also connects with the Comal River. 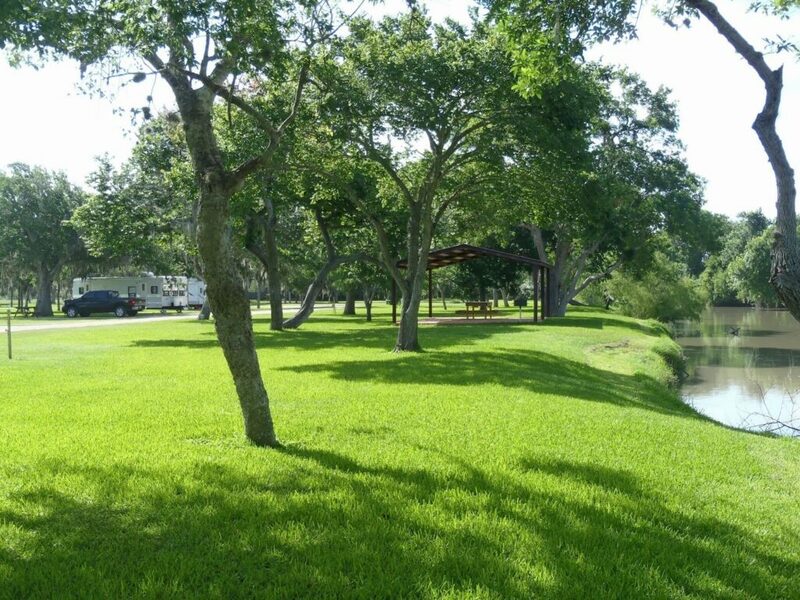 River Ranch RV Resort sits along the banks of the Guadalupe with easy access right off Interstate 35. Their full hookup sites make a great home base while visiting the many attractions of the city like Schlitterbahn Waterpark and McKenna Children’s Museum. The resort is also close to the historic district of Gruene and less than an hour from San Antonio. If you continue east from New Braunfels, you’ll reach Lake Wood, another man-made lake on the Guadalupe River. This park on the northern shore provides lake access, in addition to 16 back-in sites with full hookups and a few pull-throughs with water/electric. There is also a central dock facility where you can launch your boat and cruise around on the lake. The town of Gonzales is only about ten minutes away with some excellent restaurants and attractions like a free memorial museum. The Guadalupe River continues southeast and winds its way through the city of Victoria. A huge 560-acre city park sits along four and a half miles of the shore. 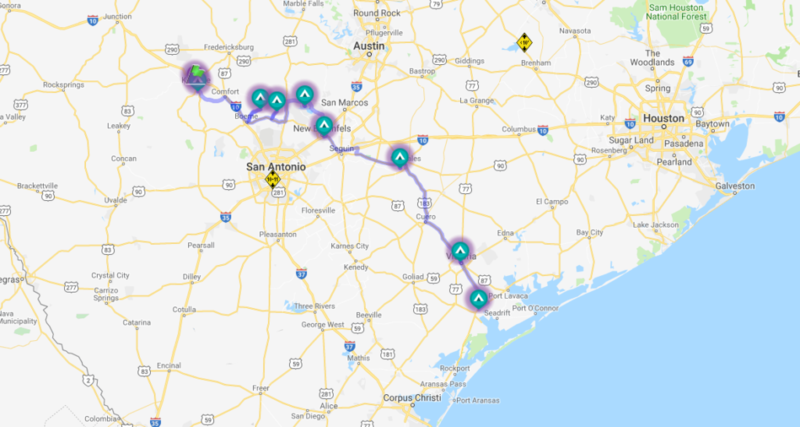 It’s home to several attractions including an RV park, a riverside stadium, a golf course, the Texas Zoo, trails, a boat ramp, a rose garden and more. Browse some of the local museums in Victoria like The Nave, which displays regionally-inspired artwork, and Museum Of The Coastal Bend where you can learn more about the heritage of the Gulf Bend region of Texas. Both museums are free to visit but donations are encouraged. Wrap up your trip at Calhoun’s Riverside RV Retreat, about 30 miles southeast of Victoria. From here, the Guadalupe River continues for only about five miles before splitting into the North and South Forks and flowing into San Antonio Bay. Calhoun’s has RV sites and cabins as well as a private boat ramp where you can enjoy some quiet fishing, kayaking, and canoeing. Rates are $35-37 a night for 30/50-amp sites and $95 a night for a cabin. Weekly and monthly rates are also offered. Their location in sunny south Texas makes a great destination for snowbirds in the winter.